Aki Onda is an electronic musician, composer, and visual artist. He is particularly known for his Cassette Memories project – works compiled from a “sound diary” of field-recordings collected by Onda over a span of two decades. Onda’s musical instrument of choice is the cassette Walkman. 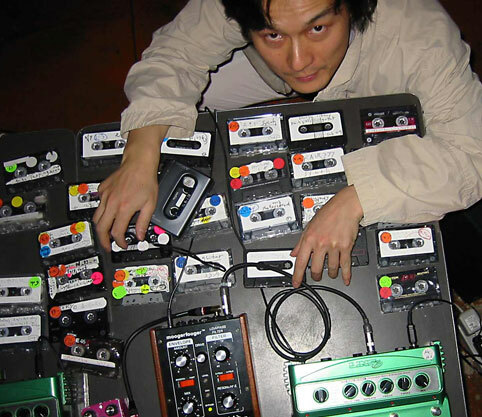 Not only does he capture field recordings with the Walkman, he also physically manipulates multiple Walkmans with electronics in his performances. In another of his projects, Cinemage, Onda shows slide projections of still photo images, shot by himself, as a performance or installation. Onda has collaborated with artists such as Michael Snow, Ken Jacobs, Paul Clipson, Alan Licht, Loren Connors, MV Carbon, Oren Ambarchi, Noël Akchoté, Jean-François Pauvros, Jac Berrocal, Lionel Marchetti, Linda Sharrock, and Blixa Bargeld.